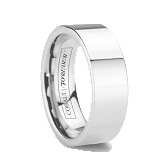 The internet-based tungsten ring and wedding band retailer opens new avenues online for connecting with customers with Pinterest and also a Facebook Store. As social media continues to prove powerful in online retailing, Tungsten World, one the largest durable wedding bands retailers online, is connecting with current and prospective customers by launching their Tungsten World Pinterest (http://pinterest.com/tungstenworld/) and Facebook Store (http://www.facebook.com/TungstenWorld) accounts. With over 10 million users, Pinterest has seen a large spike in users since the start of 2012 and has proved very useful for couples planning their wedding ceremonies. Already with a strong presence on the content-sharing site via customers manually sharing or “pinning” their tungsten wedding bands or tungsten rings, Tungsten World has officially joined Pinterest with their own page and “boards.” Among the things shared on Tungsten World’s Pinterest are boards showcasing the retailer’s newest tungsten carbide and cobalt chrome products, a section for current website promos and sales, resource and informational articles regarding tungsten wedding bands, cobalt rings, ring sizing and more, and even a section for a few of Tungsten World’s handpicked wedding favorites. Included in the company’s commitment to the content-sharing giant, Tungsten World has also integrated Pinterest with their online store through a “Pin It” button in each ring, pendant or bracelets’ product details page. 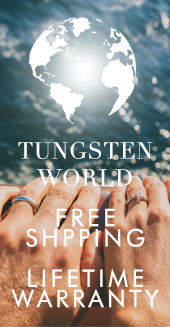 Customers viewing any of Tungsten World’s collection of tungsten wedding bands, cobalt rings and tungsten jewelry and accessories will be able to share their favorites with friends on Pinterest with just the one click from TungstenWorld.com. "Pinterest is has quickly become one of the most popular social networks online and we have already seen hundreds of people pinning their favorite wedding rings," says Chris B., Tungsten World's Marketing Director. "Integrating Pinterest on TungstenWorld.com will allow people to share anything on our site with just one click. With so many people 'pinning' wedding related pictures, Tungsten World is primed to help people by sharing wedding resources and tools, new and popular products, special promotions, educational materials and more." 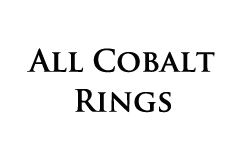 Further adding to Tungsten World's social media repertoire, the online retailer's line of tungsten wedding rings for men and women now has its own Facebook store. 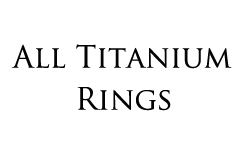 With well over 2,000 "likes" and counting on Tungsten World's Facebook page, followers and their friends can surf TW's vast array of rings and accessories while logged into Facebook. Users can "like," share and even save their favorite Tungsten Forever tungsten rings into a Facebook wishlist. 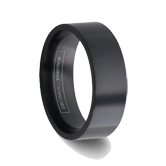 Once users are ready to purchase, they'll be taken directly to Tungsten World's secure checkout with one click on Facebook, and after receiving their tungsten wedding band or cobalt ring can post and share their purchase for friends to view and comment on. 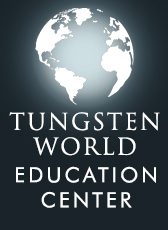 "Tungsten World's Facebook growth has been tremendous, as is evident by our almost 2,500 likes and thousands of shares, it can only be attributed to our great customer service and top quality products," says Tungsten World's owner, Stephen McKenna. "The addition of a Facebook store will further allow people to not only explore but also share and interact with our products." 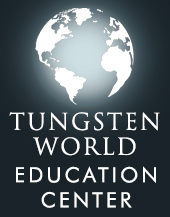 To visit and follow Tungsten World’s Pinterest account click http://pinterest.com/tungstenworld/, and for Facebook, “like” them here http://www.facebook.com/TungstenWorld and visit their Facebook Store. 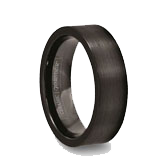 Based in Orange County, Calif., Tungsten World is the largest retailer of tungsten rings & tungsten wedding bands in the world. Tungsten World's Tungsten Forever™ brand offers the absolute highest quality women's & men's tungsten carbide rings & tungsten jewelry products, including tungsten wedding bands; all of which include a lifetime warranty and are offered in a variety of styles to meet the demands of today's trends, such as their new cobalt rings line.